“Mentoring for Migrants” is a joint initiative of the ÖIF, the Austrian Federal Economic Chamber, and the AMS job market service. 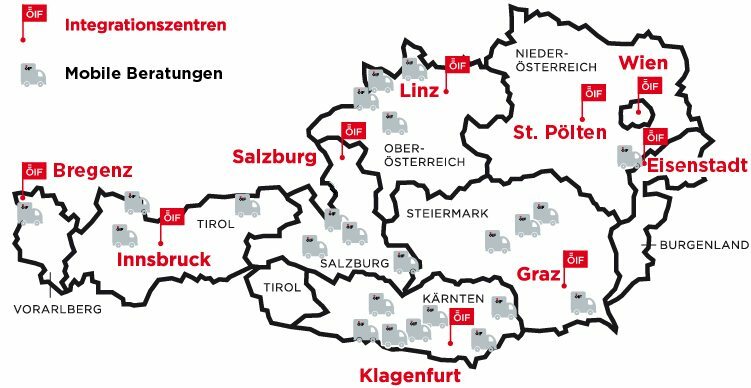 The goal is to bring together experienced individuals from the business world – mentors – and people from a migrant background – mentees – and help them become integrated into the Austrian labor market. Mentors and mentees spend about six months working through activities together to enter the labor market. As experienced business people, mentors can give their partners valuable assistance, advice, and put them in touch with the right people. Read more about it in the “Mentoring for Migrants” program folder. What are the application requirements to be a mentee? More information on “Mentoring for Migrants” is available at the ÖIF consulting centres.